Today’s post is less of a review and more of an extended explanation of why this is one of my favourite books in the world. 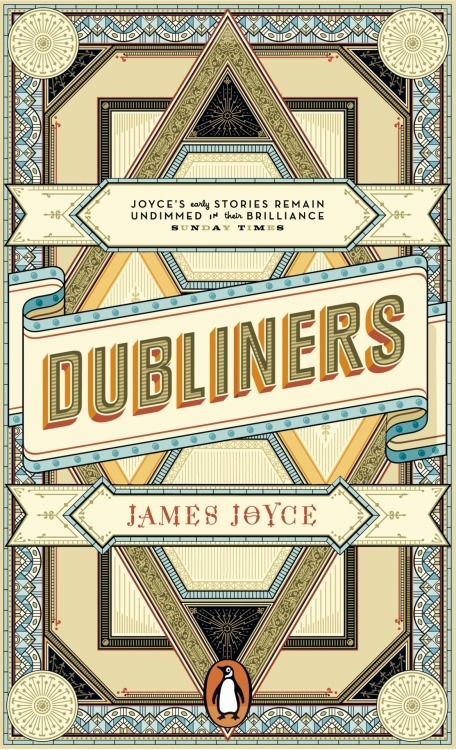 James Joyce’s The Dubliners certainly isn’t held in the same literary esteem as his better known work Ulysses, however it is the beautiful way in which Joyce crafts his collection of short stories which gives it its place on the top of my pile. The book is set in early 1900’s Dublin, and it consists of a number of stories given from the perspectives of different people who live in the city. Through his work Joyce shows how it is the culmination of all these different people, their passions and their ambitions that make Dublin what it is, perhaps more accurately it is their failures that make Dublin what it isn’t. Joyce takes you through the eyes of Eveline, a young girl trapped in her own responsibilities, Farrington a middle aged man who is so infuriated by his stagnant ambition that he takes it out on his young son and Mrs Mooney who forces her daughter into a marriage she doesn’t want to name but a few. By giving us a first hand insight into the frustrations that are an inescapable part of these peoples lives, Joyce highlights the frustration he feels about the state of Dublin as a city – stuck in it’s own lack of ambition and left behind while the rest of Europe drives forward with both cultural and economic development. Joyce essentially believes that unless something changes Dublin and consequently the people who live there are screwed. The thing that I love about this book is the way that Joyce uses every day narrative events to explore intensely personal and harrowing circumstances. The closing paragraph of Counterparts is just one example of this where we see the exchange between Farrington and his son. He explores the failures of the so called ‘pillars’ of Irish society such as Catholicism and Marriage by drawing out their most disturbing hypocrisies and laying bare the devastating effect they can have on people lives. I could type for hours and hours about the intricacies of this book (I know because I typed 5,000 words on it for my uni dissertation!) but instead I will urge you to go to Waterstones, grab yourself a Starbucks and get lost in Joyce’s Dublin. It isn’t just a beautiful look into the irish spirit but it’s a stunning demonstration of how a city is so much more than just landmarks on a map.